Nintendo has confirmed suspicions that the impressive game footage from the new Wii U highlight reel was actually taken from PS3 and Xbox 360 games. 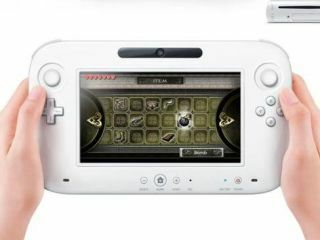 The company premiered the console during its E3 keynote and spliced-in footage from popular sports and shooter games into an impressive-looking video trailer. But Nintendo US boss Reggie Fils-Amie says that because the console launch is a year away, and there was no third-party software in existence, the company opted to show comparable HD footage from rivals. Asked if the games were going to look that good when the Wii U comes out in 2012, Fils Amie told GameTrailers: "Absolutely. The system is going to be 1080p. We can tick that box, that's done. "In terms of how good it looks, it's going to be driven by what the developers are going to do." You can watch the full video interview at GameTrailers.It's definitely worth a watch. Meanwhile, the Wii U hasn't impressed investors with the company's share price falling to its lowest point in five years on Wednesday. Ouch.